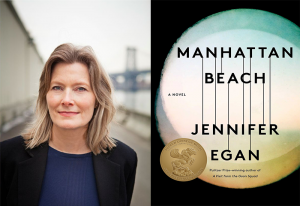 If you loved Jennifer Egan’s award-winning novel Manhattan Beach Andrew Carnegie Medals for Excellence as much as we did, we know you’ll like these other fantastic reads hand-picked by the selection committee members and reviewed by our partner, Booklist. Manhattan Beach by Jennifer Egan (Scribner). From New York mobsters to the first woman diver at the Brooklyn Naval Station during WWII to the archetypally motley crew of a merchant-marine ship in U-boat-infested waters, Egan’s insightful and propulsive saga portrays complex and intriguing individuals navigating the rising tides of war. Read Booklist’s full review. 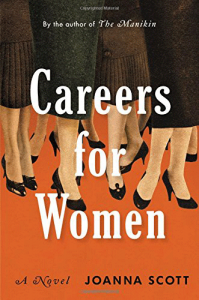 Careers for Women by Joanna Scott (Little, Brown & Co.). Maggie, 21 years old and anxious to find her way in New York City in 1958, is awed and intimidated by Mrs. J, the exacting and determined head of the Port Authority’s public-relations department. Never one to back down, Mrs. J intercedes when they encounter policemen abusing prostitutes, including Pauline, the single mother of a special-needs daughter. Maggie’s and Pauline’s stories soon intertwine in what begins as a clever and larky tale, all shimmers and sparks, and then evolves into a suspenseful drama of profound dimensions. Read Booklist’s full review. 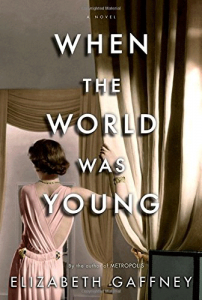 When the World Was Young by Elizabeth Gaffney (Random). Set in Brooklyn Heights during WWII and the Korean War, Gaffney tells the story of Metropolis’clever thief-turned-doctor’s great-granddaughter, smart and earnest tomboy Wally, who worships Wonder Woman and whose aptitude for science is manifest in an ardor for ants. This coheres into a charming and incisive tale about a brainy girl’s metamorphosis into a heroically forthright woman, in which Gaffney asks provocative questions about parenthood, gender and racial prejudice, sexual magnetism, painful sacrifices and secrets, and profound heartbreak, all exacerbated by war. Read Booklist’s full review. 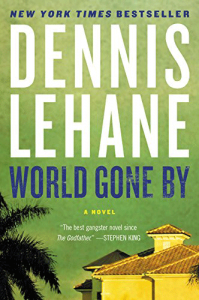 World Gone By by Dennis Lehane (Morrow). Jumping between Tampa and Cuba, Lehane writes the last movement of his epic, three-volume historical saga (The Given Day, 2008, preceded Live by Night) in a distinctly minor key. Over three volumes, Lehane has written the tragic history of a man and his family, moving from freewheeling optimism to abiding melancholy as the full force of a lifetime of choices closes the doors those same choices once opened. Read Booklist’s full review. Be sure to check out more read alikes of the 2018 shortlist for the Andrew Carnegie Medals for Excellence in Fiction and Nonfiction.